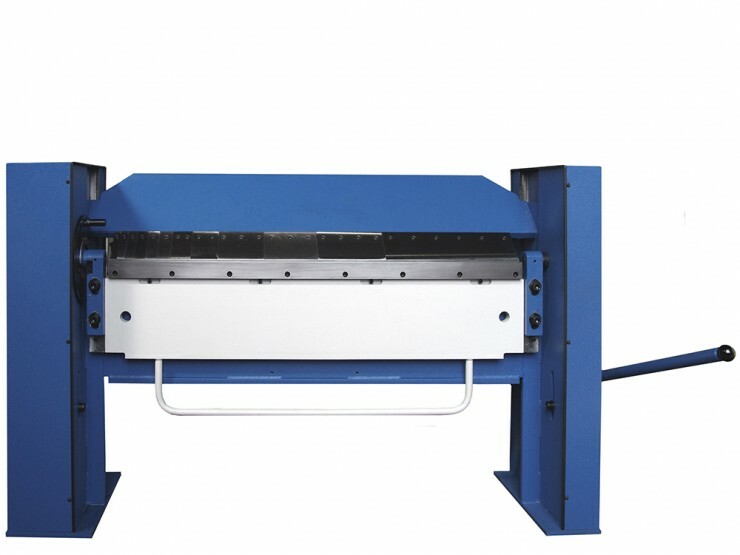 Universal folding machines UNI are dedicated for folding of wide spectrum of profiles and forms (including boxes). Massive steel construction insures high stability, accuracy and machine long lifetime. Machines are characterized by ultra wide clearance between table and clamping beam (140 mm) and can be delivered with various tools and optional equipment according customer´s selection. Machines can be equipped by mechanical locking foot pedal what makes machine operation easier.